Select your desired options to find the best Huawei P30 Pro deals for you. Huawei is now one of the biggest mobile phone manufacturers in the world having risen through the ranks in super fast time. They have a vast following and always manage to bring innovation to the table. Launch events are popular and become somewhat of a media event with these latest phones being well received. The P30 series is going to be flying off the shelves thanks to the stunning design and functionality. Holding the Huawei in your hand you can instantly feel the premium nature of this handset. The weight and finish scream high-end, and it really is a delight to look at. Of course, this is a true infinity screen and not an ounce of space is wasted with bezel edges. 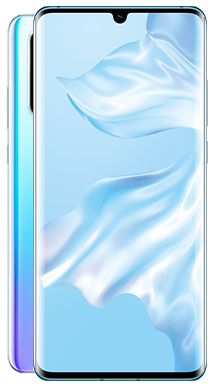 The front-facing camera has been shrunk down to fit neatly into the water drop notch, and even when using the handset in full-screen mode, it is virtually invisible and doesn’t really interrupt the viewing pleasure. Naturally, this is a mainly glass offering that comes with aluminium parts, and it is easy to hold in one hand and use. The handset has an IP68 rating which gives it waterproof and dust resistance which is perfect for a modern and busy life. The screen is toughened glass, but as with all mobile phones, we would strongly recommend that you invest in a case as you do not want to risk damaging this phone. Of course, this is the Pro handset, so it is larger than the P30, but the larger handsets are definitely popular at the moment, and this is a good 6.47 inches which appeals to many users. There is a trend emerging to use the handsets to play games and stream movies so the bigger the screen, the better and of course this is all screen. The OLED screen is superb and comes with an aspect ratio of 9.5:9 which gives a home theatre feel. The screen is 1080x2340 pixels with 398PPI and works really well. 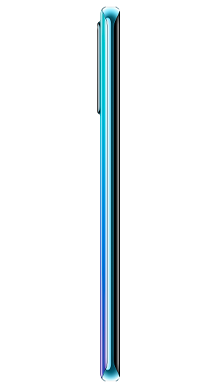 On the back of the handset you will see that the stunning design continues with the neat vertical camera arrangement. This phone has four lenses on the back, and they are stacked neatly one on top of the other rather than in a quad arrangement seen on some of their other handsets. The overall look is clean and well thought out with the flash sitting just to the site. There is branding on the back which is colour coded, and you can choose from 6 colourways including black depending on where you are in the world. So, wired headphone fans might be a little disappointed that there is no standard headphone jack on the Huawei P30 Pro, but there is a USB Type -C available. However, the audio performance from the speaker or when using headphones is brilliant so you will probably get over it pretty quickly. Whether you are looking to make calls using hands-free or wanting to watch movies and stream music the audio performance is first rate. Four lenses is a real treat, and they combine well to help you create brilliant shots with a super close up function. You will find a SuperSensing 40MP Leica made quad camera system, (20MP ultra wide + 40MP wide angle + 8MP 5x telephoto +ToF) on the rear of the handset and meanwhile on the front a 32MP selfie camera this is really brilliant and totally perfect for recording your day. 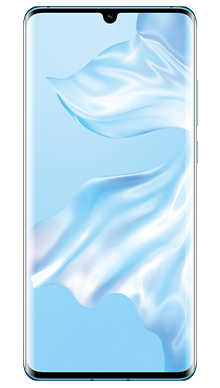 As you might expect Huawei has gone with their favoured hardware combinations as they have proved time and again that this is what works for their handsets so you will find the familiar HiSilicon Kirin 980 chipset and Octa-core (2.6 GHz, Dual core, Cortex A76 + 1.92 GHz, Dual core, Cortex A76 + 1.8 GHz, Quad core, Cortex A53) CPU and Mali-G76 MP10 GPU combination which works perfectly. In terms of software, you get the latest Android 9.0 Pie which comes with the EMUI 9.1 for perfect user experience. With this handset, you get the fast charging cable which takes the phone from 0-70% charged in just thirty minutes. The handset is also wireless charging compatible, but you do not get a wireless charger in the box. It also supports reverse charging which is a neat feature that allows you to charge other devices from this one. The battery can easily support all this as it is a huge 4200mAh and will get you through a busy day no problem at all. There is 128GB of storage which can be expanded by 256GB thanks to the microSD slot. 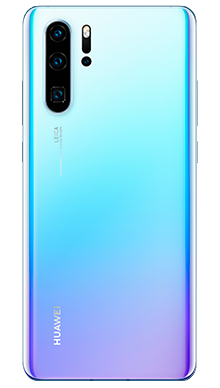 The Huawei P30 Pro is a stunning high-end handset that comes with the price tag to match but will offer you unrivalled mobile phone performance for many years to come. At Fonehouse we strive to offer the widest range of handsets because we know that all users are different. This includes the latest releases like this one, and once we have secured a handset, we then look to add a range of pay monthly deals. Again these all feature different components because we want to give you the most significant choice possible. We work exclusively with Vodafone and EE because we want to ensure that you get the best in network connectivity whether you are in the city or out in the countryside and we know that these providers have the best coverage maps. 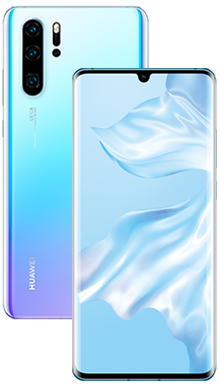 If you have any questions about the Huawei P30 Pro or indeed about any of the handsets or deals that we offer, then please do call our customer service team on 0333 900 1133 and they will be delighted to help.